Desi Smith/Staff Photo. 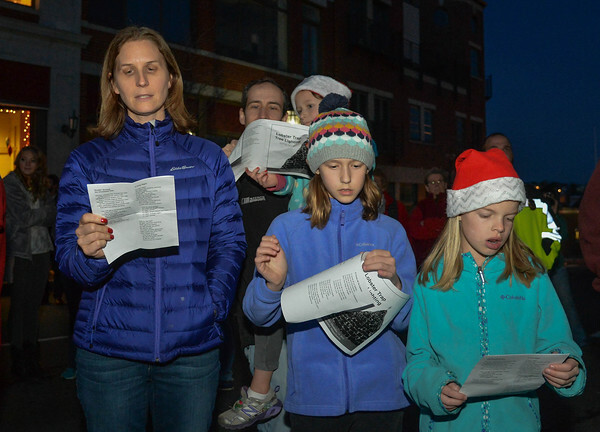 Tasha Marshall (left) of Rockport, husband Justin and daughter Gretel 6, (back) along with other daughters Abby 11, and Ella 10, sing christmas carols during the annual lobster trap tree lighting held Saturday night on Main Street. December 12,2015.